Different designs, colors, sizes, and materials are available. We offer granite sinks, marble sinks, travertine sinks, limestone sinks, sandstone sinks and onyx sinks in a variety of desirable shapes, colors and sizes. 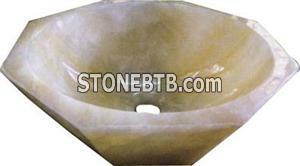 The stone vessel sinks are also called single bowl sinks, stone lavabo or vessel sinks, they are widely used in bathroom, lavatory or kitchen. 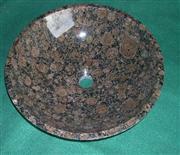 We can offer many different kinds of materials, shapes and sizes of stone basins. For detail info, please feel free to visit our website and enquire us at any of your convenience. We would be very happy to answer all your questions.